Kendal Town Council serves approximately 30,000 Kendal residents via 28 Councillors who meet regularly to propose, steer and manage projects that are beneficial to Kendal and its communities. Keep up to date with Kendal Town Council’s latest achievements via the News page or view the latest newsletter here. 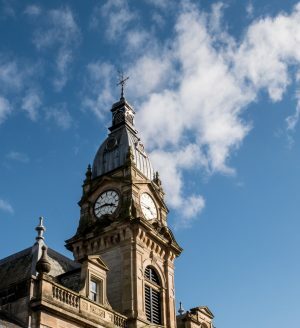 Based in Kendal Town Hall, the Town Council employs 8 members of staff to deliver a range of projects and fulfill the Council’s statutory duties. This website provides an overview of the Town Council’s Committees and Councillors, its Allotment and ‘In Bloom’ commitments and current Partnership Projects. Send us any suggestions you have to improve the service we offer. Please note, Kendal Town Council will only use your contact details for the purpose of your message. This is in line with our GDPR policy available in Statutory Information under Council Governance.